An academic partner in building your future. The University of Nebraska is a Post 9/11 GI Bill Yellow Ribbon Program participant and a Servicemembers Opportunity College committed to providing quality, affordable education to military service members and their families. The university is comprised of four campuses with unique strengths – University of Nebraska – Lincoln, a land-grant flagship campus; University of Nebraska at Kearney, a campus focused on undergraduates; University of Nebraska at Omaha, a metropolitan campus serving urban citizens and University of Nebraska Medical Center, an academic medical center. The university’s more than 125 online programs give service members from around the world access to a superior education. At the University of Nebraska, we have flexible programs geared toward service members and their families. Military advisers and staff on each campus can answer questions and provide information so you can make decisions that are best for you. University of Nebraska’s flexible deployment and activation policies ensure students aren’t penalized if military service impacts their educational progress. Several programs available grant credit for military experience including training, continuous active duty and military exams. With four campuses offering a wide range of options, including over 125 online programs, the University of Nebraska can help you reach your educational goals. Hear first-hand why attending University of Nebraska is life changing. Choosing the right school for your post-military education can be hard. There are multiple schools with great benefits...who knows what to choose! 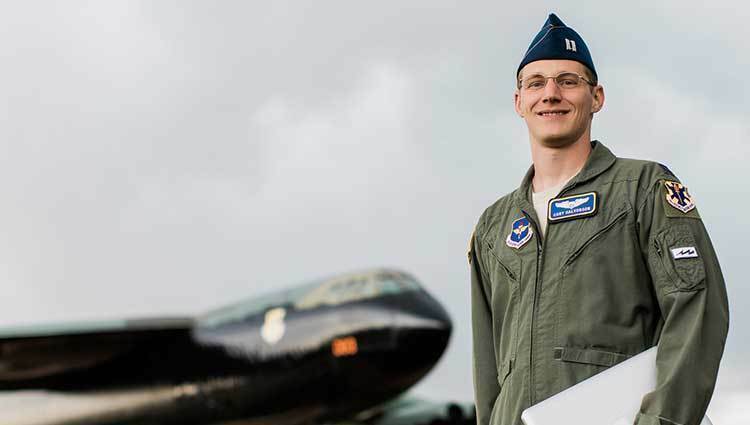 Now you can learn from someone else’s experience- how their military skills helped, why they chose Nebraska and what challenges they faced in the transition. Each University of Nebraska campus is regionally accredited by the Higher Learning Commision. Many of the university’s programs also carry prestigious accreditation specific to their discipline. Take advantage of University of Nebraska Online's commitment to your service. Request info now on how you can enroll!